This is a basic overview of how I work with fur. I've had a lot of questions and hopefully this answers them. I use about three layers for fur, and constantly combine them so I can use a clipping mask on the whole subject. 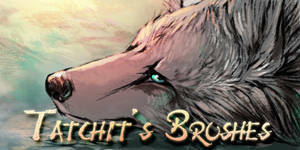 There is no secret fur brush-just a regular hard brush with a few setting changes. After all this, I cannot stress enough about the importance of practice. I didn't learn this overnight, and this tutorial is not to be taken religiously. 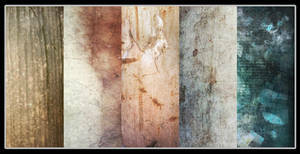 You may learn a different way, use a different program, different brushes and settings. If by chance you use this, don't worry about linking back. No need to, use it and have fun. How many hours to do this ?? Its very beautiful but i imagin that's a very long work... ? I know this is a little outdated, but it's a great tutorial. unfortunately I'm kind of stuck with using da muro. What da muro brushes will come close to capturing this? Alright this is awesome! But when you draw I see some places where the fur is a thick black color instead of blending in. Is that because that's where there is thicker fur? Or is it somethin else. This is an old, outdated tutorial tbh. The thicker black areas represent depth in fur (thick chunks for example.) I'm not sure if it's pure black or not, but it's better not to go pure black on colored fur. Even with black fur, a deep, rich blue (or muted, you're choice!) will give you a lot more interest than pure black (unless you're going for b/w or using b/w than going over it with a color layer such as overlay, color, ect) Even in painting, you can mix your primaries with eachother and get some very nice rich, dark colors. But in most cases, you will probably need to add black to get that extra depth. I think this might be more of a personal nitpick than anything. You can experiment and see what you like better, sometimes this way isn't the best. I'm having trouble trying to make it look fluffy and "cub-like"
What's wrong out of date? This is awesome tutorial!! 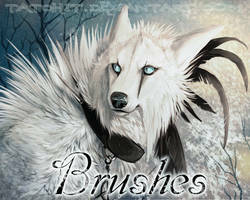 I have always wondered how do almost all artsist draw that fur that looks so real and lovely!! .. I see sb translated it to France ..
unfortunately I don't have the original file anymore so I'm not sure how'd you do it, but yes, you may translate and re-upload this were you want. The only thing I ask is a link back to my page so people can find the original source. Its so nice of you to do this.. A lot of artists seem to guard the way they .. Uh.. Art like a secret. Thank you for the tutorial. A fur tutorial for PS! Thank you soo much for making this. I really love the way you paint fur, and it's always such a challenge for me. I just love the way you do fur! Does this work for paint tool SAI? It should! I have Sai, and it's lines are much smoother than PS so maybe a little rough texture might help in some areas. Transfer is 'Other Dynamics' in CS, CS2, and I think CS3. It does the same thing, it's just called Transfer in later version os PS. Oh ty so very much You're the best. This is an amazing tutorial It helps that you have a very nice realistic style, too. Great job and thank you! This is far and away the most helpful fur tutorial I've seen to date. Thank you thank you! Hello! Do you still look for someone who can translate this tutorial into German? I can do it for you, if you want! I've always wondered how to create fur of an animal. It was always a mystery to me! Hello, I featured this here [link] Thank you for excellent resources! Gotta use this when I get a new laptop! I wil be trying this out asap! Thank you! we are doing auto portraits in art class and we need to represent ourselves in six different wways! I totally needed this! This helps so much. Thank you!